The First World War was the first major conflict in which large number of soldiers made use of a camera. In 1912, the Eastman Kodak Company introduced the Vest Pocket Kodak camera. Sales of this tiny camera (designed to fit inside a vest pocket) increased dramatically with an estimated one in five Allied officers carried one by the end of the First World War. 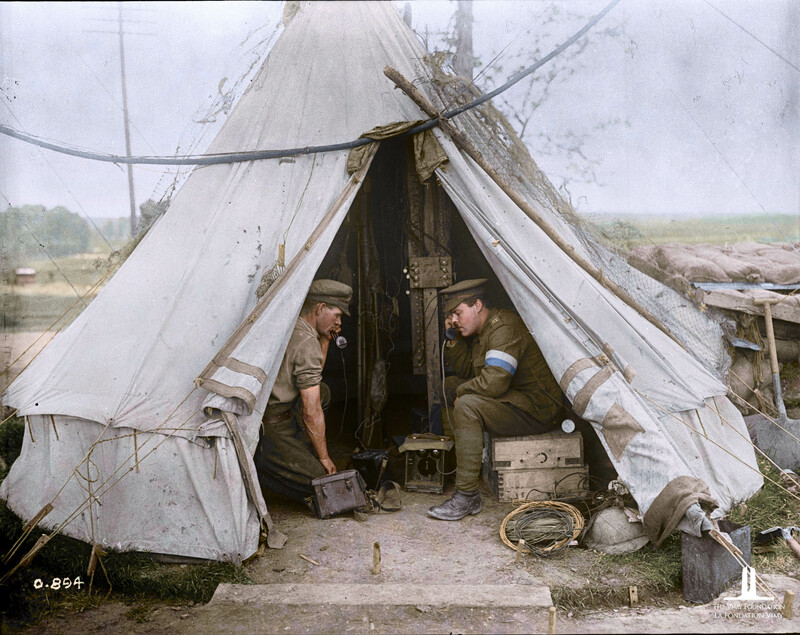 Learn more about photography during the First World War, and the colourization process.